The PLANET Day of Service is an annual charity event to allow us to give back to our local community. It is a one-day volunteer project organized at the national level by The Professional Landcare Network with thousands of volunteers participating. 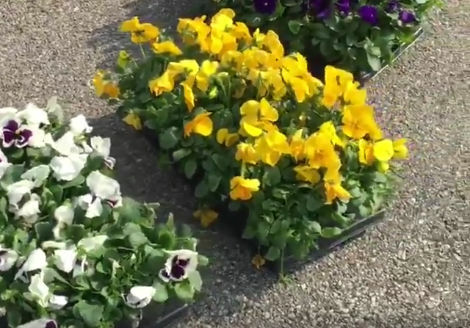 Each year, volunteers, including the company’s ownership, management, and field personnel, help local residents in need with various spring beautification and grounds maintenance projects, and improve public spaces within Middleboro. These green spaces are a vital component to our planet, so improving and maintaining them is a great opportunity to have a big impact on our community. This year (2016) was our seventh year hosting the Day of Service. 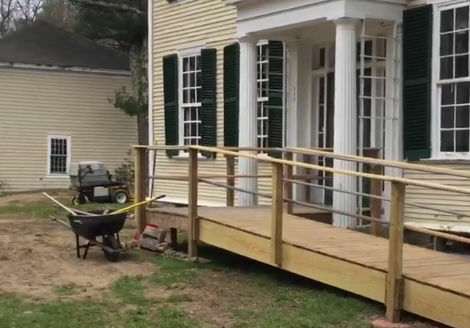 On April 22, 2016, our crew of volunteers worked on five separate projects in Middleboro and Taunton to help improve the lives of some local residents, and revitalize public spaces. Roughly 175 hours were volunteered! 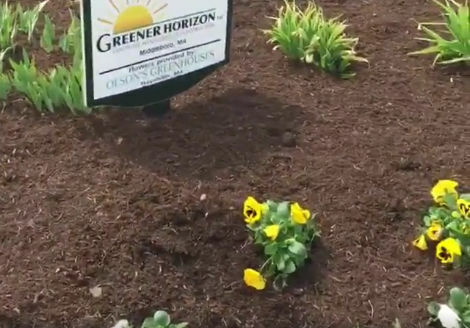 Greener Horizon also donated materials such as loam, crushed stone, and bark mulch. 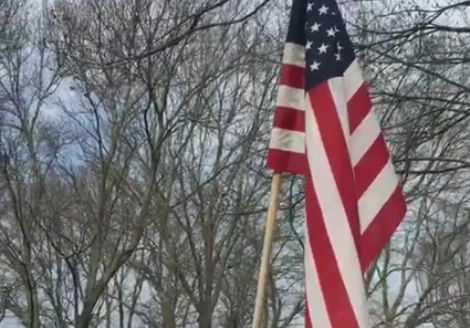 Lastly, thank you to the following for their support: Olson’s Greenhouses, Inc., Spillane’s Nursery Corp., Grant’s Rental, Dave’s Diner, Stoneforge Tavern and Publick House, 99 Restaurants (Bridgewater) Dunkin’ Donuts, Hannaford Supermarkets and to the town of Middleboro; Middleborough Town Manager and Project EverGreen. A spring beautification and planting of our sponsored community island on Rt. 28 in Middleboro. Brick walkway repairs and planting/clean-up at Kramer Park in downtown Middleboro. Flowers, cleanup, and bark mulching for a local woman to brighten her day. 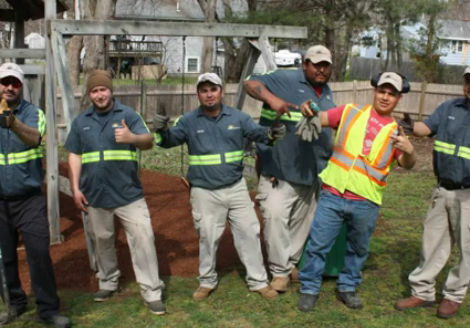 Spring landscaping, yard cleanup, and bark mulching under a playground for a local sergeant wounded in the line of duty, as part of the Green Care for Troops Program. 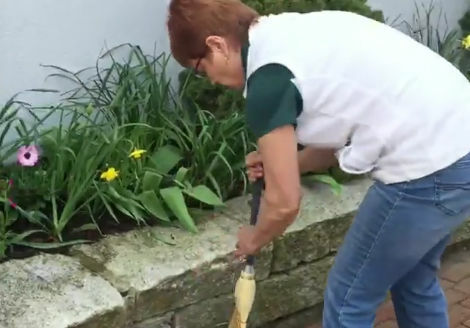 Landscaping, cleanup, tending of the English gardens, shrub and hedge trimming and reviving, and grating and fertilizing at the 1769 Oliver Estate in Middleboro. Day of Service 2016 – Greener Horizon Rollout. Everyone is pumped and ready to go! Volunteering at a Taunton Home with cleanup, flowers, mulch etc. 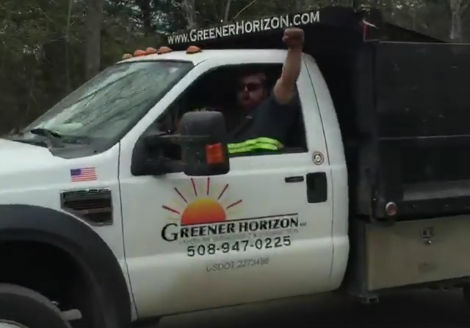 Green Care for Troops – Greener Horizon helps out a helps out a sergeant injured during his tour of duty — yard cleanup, mulch for playground, and more. Island work front of Dave’s Diner in Middleboro, planting flowers, picking up track, adding mulch, repairing curbs with plow damage and more! Kramer Park in downtown Middleboro -- planting flowers, cleaning the walkways and more, for the residents and business owners to enjoy. At the historic Oliver Estate built in 1769. Work included grating of the grounds, tending the English garden, trimming overgrown shrubs and hedges, cleanup, fertilizing, etc. Our hardworking and amazing Greener Horizon volunteers -- Thank you!